We’re all about making the daily grind simpler for our dealership customers. So we’ve worked with the datamotive team at the carsales.com.au network to create two-way appraising with LiveMarket. This innovation eliminates the need for double handling of appraisal information for our common dealership clients. If your appraisal is created in ERAnet or LiveMarket, the dataset will move between one system and the other seamlessly with two-way appraising. Simple! Ask for more information here or read on. We know capturing data is a boring, sometimes inefficient but necessary in the dealership space. With this in mind, we set about creating a solution for the problem. The goal behind two-way appraising is to reduce data entry to the bare minimum. With LiveMarket and ERAnet tied so closely together, our dealership clients don’t have to re-key vehicle or customer information. Not only does this save time, but it reduces the possibility of human error. We understand the showroom world isn’t 100% behind a desk. It’s by a vehicle, it’s in the yard, in the car or sometimes, at the customers house. 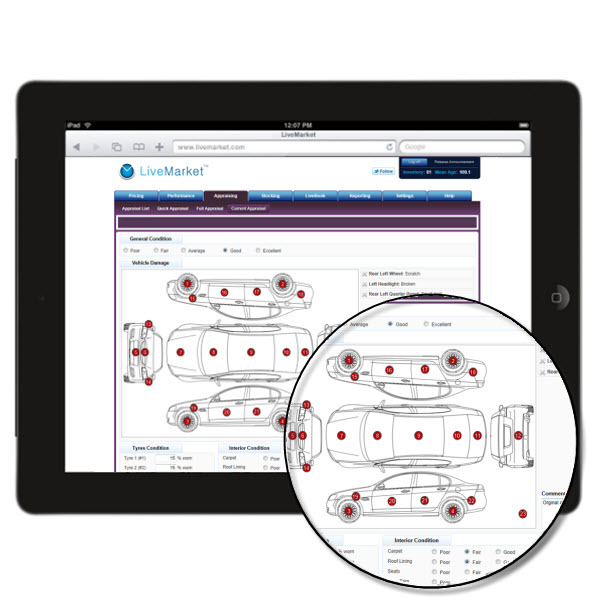 Empower your sales team to use LiveMarket on their phones or tablets and you will see this data sync with ERAnet. Realise the benefit of two-way appraising with ERAnet and LiveMarket today.